We often talk with our clients about ways to better understand the total cost of ownership on grand format printing equipment. For today’s blog, Global CEO Greg Lamb outlines numerous, often-overlooked ways that ink can affect your overall costs. Ink is one of the biggest factors we run into when calculating the overall cost of a UV printer. While the price that someone will pay for a printer and ink depends on the printer model and sales negotiations, we also know that some inks are less stable than others, meaning some printers consume more ink than others. So how does ink stability affect your total costs? How Accurate Is Your Cost Per Print Model? I like to start these conversations by asking my client, “What do you think your cost is per square foot to print a job?” And the COO will say something like, “7 cents,” which they got from their manufacturer sales rep. Then we look at the printer software it tells us right away that one print is 16 cents a square foot, one is 17 cents, and another one is 15 cents per square foot. They quickly realize that their model, based on 1000+ square feet of production per liter of ink, is upside down. Their printer is using more ink than they thought and they aren’t estimating jobs accurately. Let’s start with the idea that some printers use 8 colors and printing at 600 dpi will give you adequate coverage with light smoothing. As the printer gets older, and it happens quickly, you have to print slower because the printheads and carriage have degraded over time due to the build quality. Now you have to print at 600 dpi with heavy smoothing. That slows down production by nearly half, from 20 boards an hour down to 12. More passes mean more ink usage. And next year you’ll have to go to 1000 dpi with heavy smoothing, putting down even more ink. So now, the estimated cost of 7 cents per square foot has all of a sudden jumped to 30 cents. When I ask people how often they purge, I often get answers like, “Every 5 to 8 boards.” If you’re purging 100 ml of ink — a tenth of a liter — every 5 to 8 boards, that’s a cost of $6 to $10 every purge! And that’s not being factored into your cost estimating. Then we walk around to the back of the printer, open up the door where the purge tank is and I ask, “How many 55-gallon drums are you throwing away per year?” This is when people start to get an idea of how ink can affect their true cost of ownership. Compare that to Durst UV printers. I recently spoke to one customer who is running 24/7 production and only purging at the end of each shift. That means they can print 24/7 and the ink waste tank won’t fill up for 2 months. Printers with 8 colors (CMYK, light cyan, light magenta, light yellow, and light black) are vehicles for manufacturers to sell more ink. With the advances in head technology today, you don’t actually need those extra colors. Many big manufacturers like Durst, Fuji and Océ, for example, have been producing 4-color printers that run a grayscale 7-picoliter drop for 10 years now. Even 6 colors is a better option than an 8-color printer so you don’t waste transitional ink like light yellow and light black. Consider this: If you didn’t have to purge, what more could you achieve? It’s a simple concept but one that often gets overlooked. If the printer requires periodic purges, which is a manual process, then you’re stopping your printing every time which means somebody has to be there to babysit it. 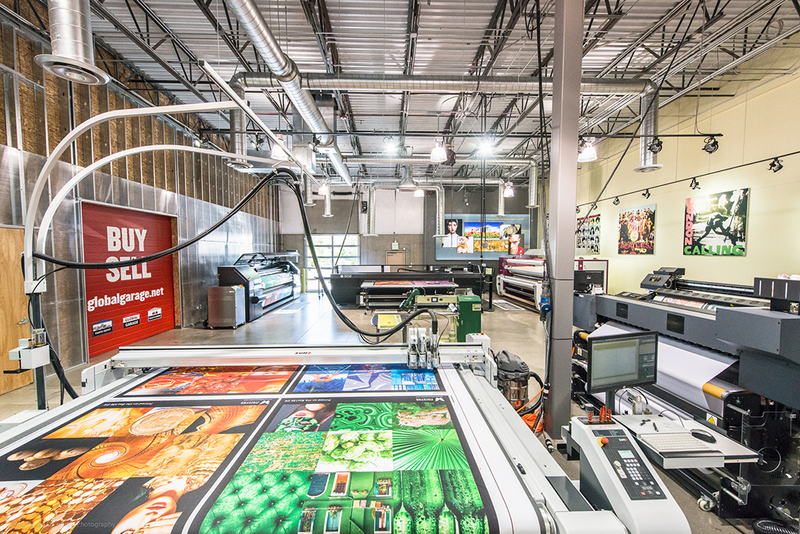 Durst is one of the few high-speed UV curable printers where you can hit print, turn off the lights, and come back the next day and everything’s done. I see it all the time with the bigger shops: they go to Durst because they’re tired of not being able to run their printers unattended. Even though one UV printer costs less at the time of purchase than another, you should not assume that it won’t cost you more over time. With a little bit of data from you, we can accurately estimate how much ink can affect your overall costs with Global Insight ROI reporting.